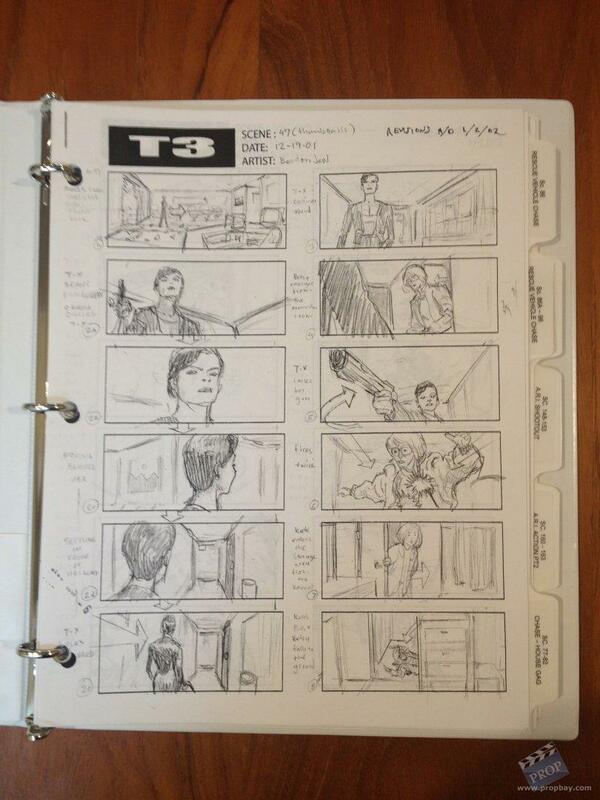 A large set of original production used storyboard copies from Jonathan Mostow's Terminator 3. 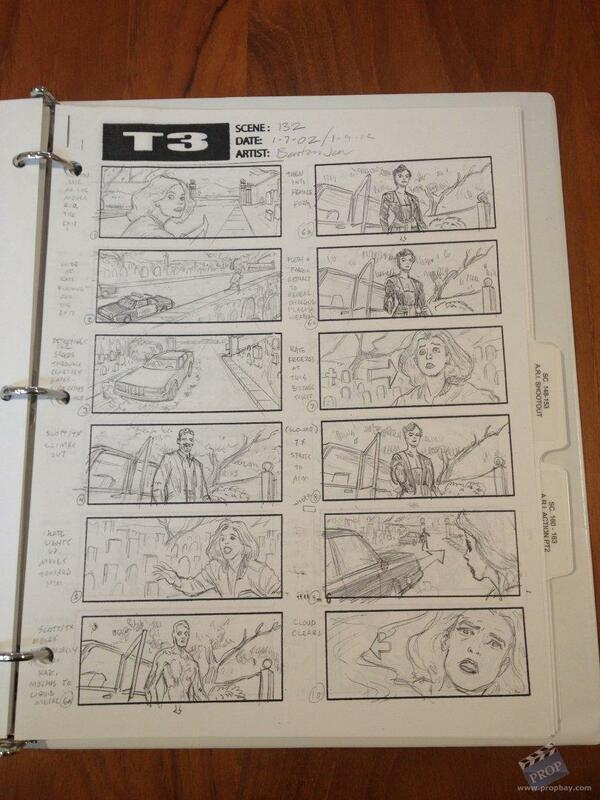 They cover several scenes from the film and interestingly are by several different artists. They include the original tabbed dividers. 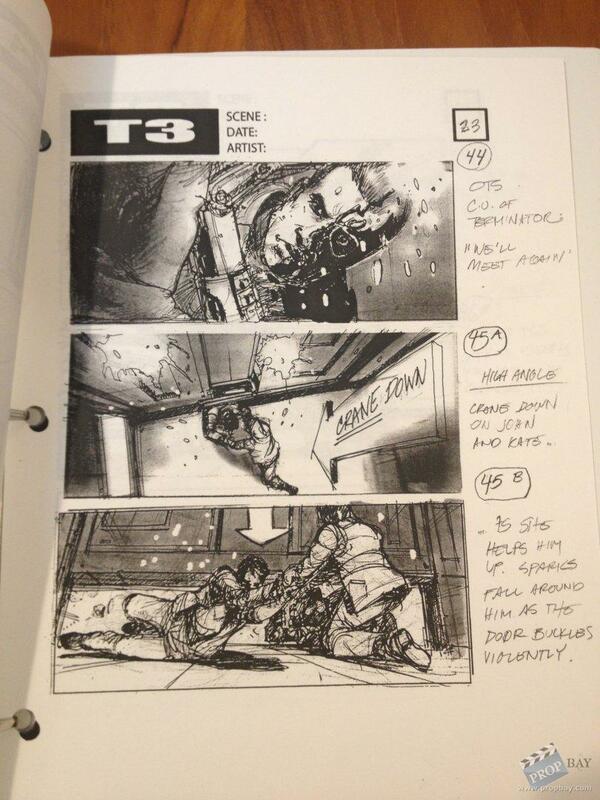 The first is dated 22nd January 2002 by Jacques Rey (Hook, Batman Returns, Seven, The Fifth Element, Men in Black, Independence Day). This set is stamped with the name of the second unit director Simon Crane and likely belonged to him. 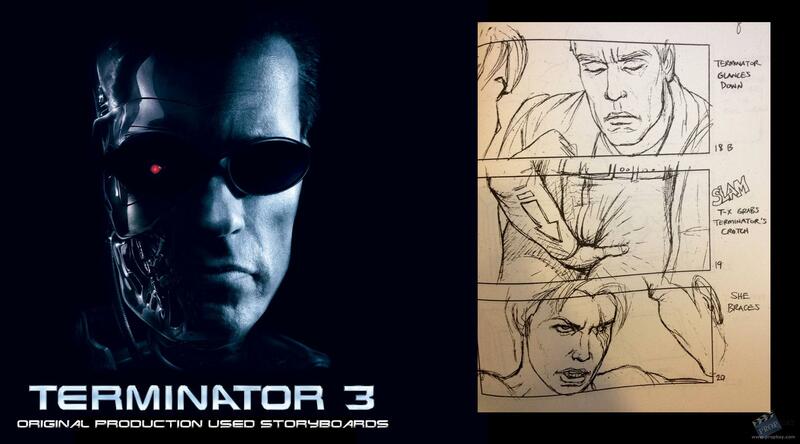 The second is dated 19th December 2001 by Benton Jew (The Phantom Menace, National Treasure, The Chronicles of Riddick, Cowboys & Aliens). The third is dated 9th January 2002 and also by Benton Jew. 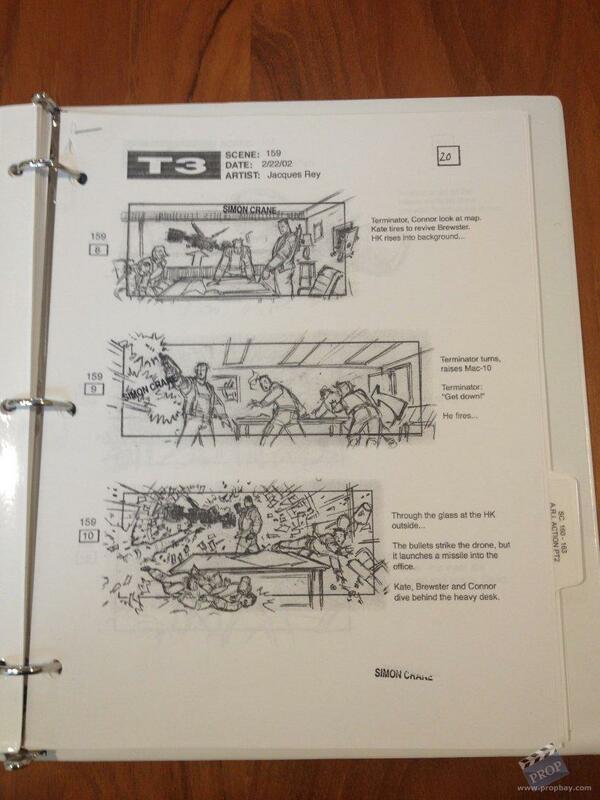 It is for a deleted scene involving a hot tub which would have been pretty awful had it been left in. The fourth is also Benton Jew and undated and covers more of the rescue vehicle chase. The fifth is again Benton Jew and dated 7th January 2002 and covers the cemetery shootout and chase. The sixth is a great set from the chase that was cut short in the final picture. 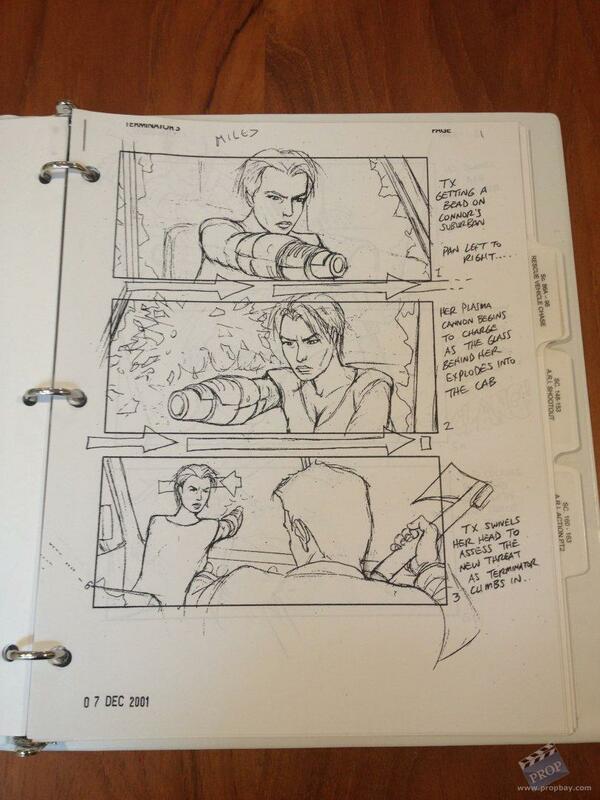 it is dated 7th December 2001 and no artist is credited. 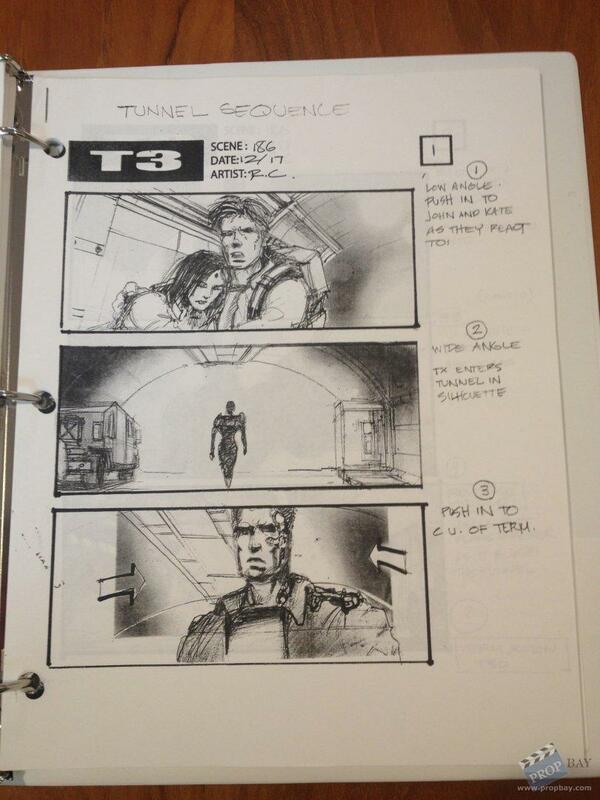 The final is for the Tunnel sequence and dated 17th December with no year. 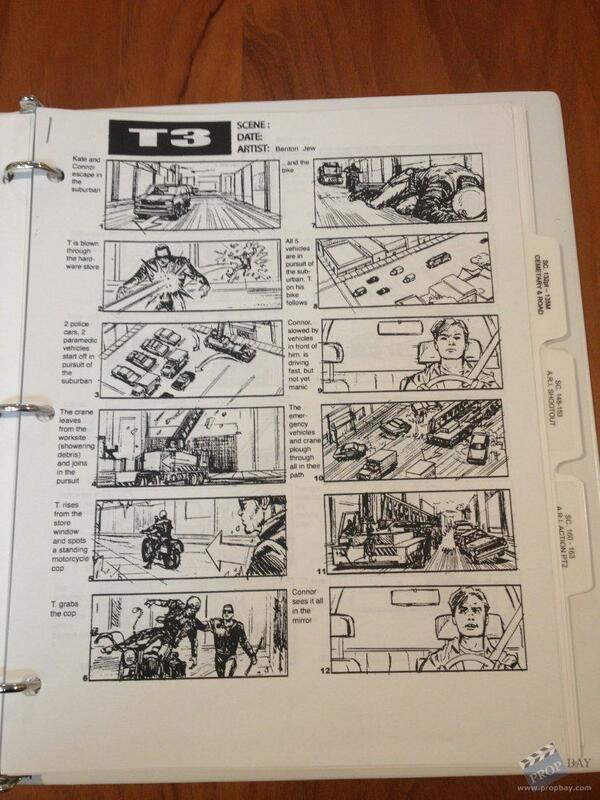 It is a beautiful piece of work by the incredible Robbie Consing (Swordfish, Minority Report, X2, National Treasure MI II and II, Transformers, The Amazing Spiderman) and is just over 30 pages long. Added: 08-26-2013 - Viewed: 1855 times.